It's distressing to see this destructive trend of bubble-wrapping our kids now extending into government agencies. In a horrifying case of helicopter parenting by proxy, the B.C. Ministry of Children and Family Services has over-reached its mandate by ruling that a single dad cannot allow his four school-aged kids to use public transportation to and from school without adult accompaniment. The father in question is Adrian Crooks, a video game design consultant and divorced dad of five kids, all of whom are under 11 years of age. 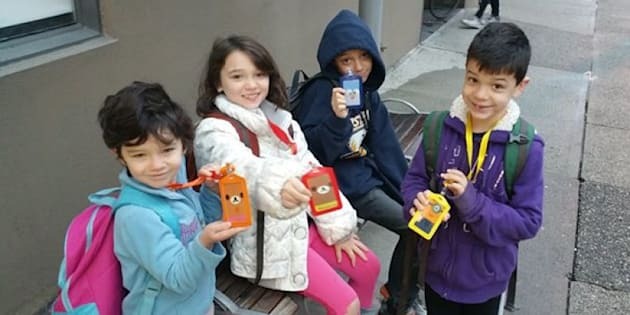 As a conscientious parent, he has studied all the statistics about the safety of riding the bus and he took the time to coach his kids on how to be safe and responsible users of public transportation. In the year that his four kids travelled to school by public transportation, there was not one incident. Mr Crooks says, in a letter dated Sept. 7 to the National Post, that "nobody has so much as shed a tear, let alone been hurt. They've become friends with the bus drivers, and I've even received emails from fellow riders praising their behaviour and independence." Unfortunately, after an anonymous complaint, the ministry got involved and in a complete dismissal of the facts, made their ruling. They've even forbidden his kids to walk down the block on their own to the corner store. As a person trained in science, I always look for the evidence when making my decisions. It's bad enough when parents overprotect their kids, worse when teachers and school administrations do so and worse yet when the state gets overly involved in parenting. If the ministry had bothered to do the same, they would have recognized the facts that Mr. Crooks cites in his letter: that buses are far safer modes of transportation than cars, with car accidents being the number one killer of children in the U.S. between the ages of five and 14. The ministry would have seen that in the States, about 10 children are killed in school bus accidents each year, while 2300 die annually from accidents at home, such as choking, falls, burns and poisoning. Furthermore, the notion of stranger danger is an urban myth, with a 2003 Canadian study finding just one case nationwide of a stranger abducting a child, anywhere in Canada, in the entire prior two years. In a related article in the Toronto Sun, journalist Michele Mandel quotes Mariana Brussoni, an associate professor of pediatrics at the University of British Columbia, who says that "the likelihood of abduction by a stranger [in Canada] is so small that the statistics are not even collected." A Canadian police statistic shows that only "25 children of the 46,718 reported missing in 2011 [were] listed as 'abducted by stranger.'" According to a 2010 survey by the Canadian Centre for Child Protection, only "155 children have been abducted and murdered in Canada since 1970." That's 155 children in 40 years, and virtually none of them were abducted from among a group of kids on a bus. Mr. Crooks has been threatened with losing custody of his children if he doesn't comply with the ministry's ruling. 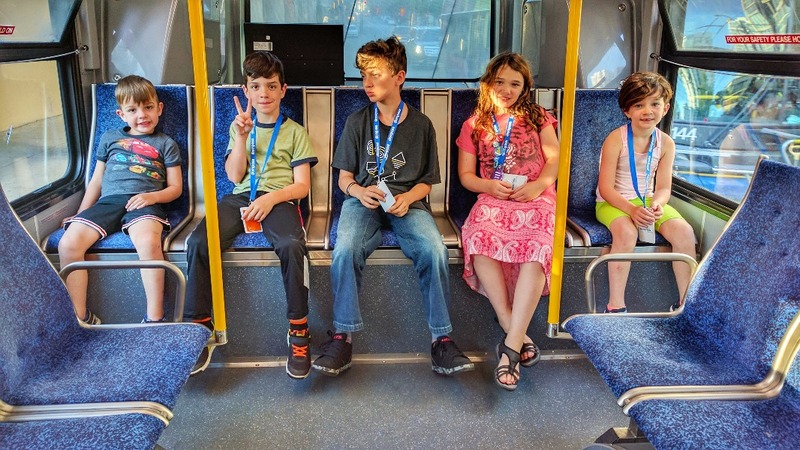 He has launched a GoFundMe campaign which has already surpassed his goal of raising $15,000 to "legally defend children's freedom of mobility by public transit." Mr. Crooks is what one would call an anti-helicopter parent. He says "the ministry's decision is a disturbing example of the government's increasing tendency to infantilize citizens. It not merely encourages "helicopter parenting," but actually mandates it — robbing my children of their agency, independence, and ability to develop a sense of personal responsibility. It also interferes with my freedoms as a parent, giving no weight to my choices as a father and my views of what constitutes good parenting." It's distressing to see this destructive trend of bubble-wrapping our kids now extending into government agencies. It's bad enough when parents overprotect their kids, worse when teachers and school administrations do so and worse yet when the state gets overly involved in parenting. "The job of a parent is to raise (children) to not need you as fast as possible," said Crook. "I'm trying to grow responsible humans. ... It doesn't make sense." I agree that the more our kids are coddled, the less able they'll be to function as independent adults and the more at risk they'll be for mental health problems in the future. We need to send a clear message to the B.C. Ministry of Children and Family Services to back off and allow Mr. Crooks, who's shown himself to be a loving, capable and effective parent, to care for his children in the best way he sees fit. Sign up here for my free monthly wellness newsletter. October is all about letting go of people-pleasing. Check out my latest podcast. Julie Lythcott-Haims discusses how we became helicopter parents and how to switch gears and give kids what they need to grow up into high-functioning adults.